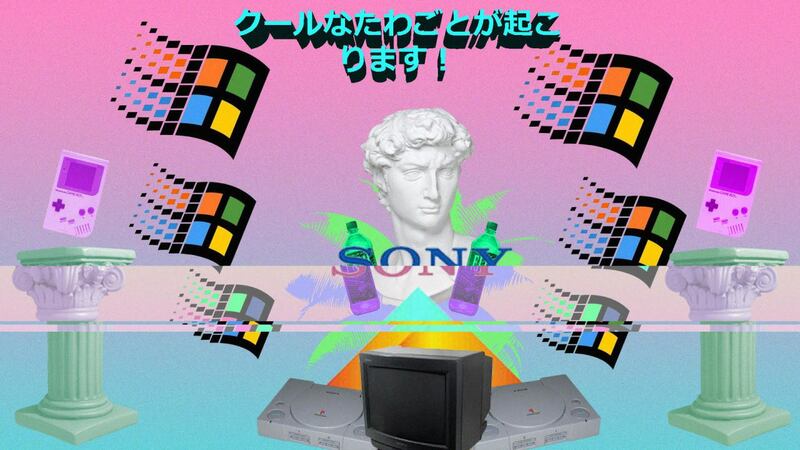 It is hard to talk about the genre of music known as vaporwave without understanding its intention. A bit like punk, vaporwave subverts the 1980s consumerist society by cutting up the music and images of the decade, and representing it as an ironic form of nostalgia, and yes, I am still talking about music. The name “vaporwave” comes from two sources – “vaporware” is a term given to computer software that is announced, but never appears, while it also evocates “waves of vapour,” a term from Karl Marx denoting old ideas and conventions being swept away before they can solidify. It is not a bad way of describing a genre that popped up as a meme, on the social media site Tumblr in 2010, but its having lasted longer than the original burst of punk in the 1970s means the nostalgia for the failed promises of a 1980s consumer society clearly speaks a lot to people. 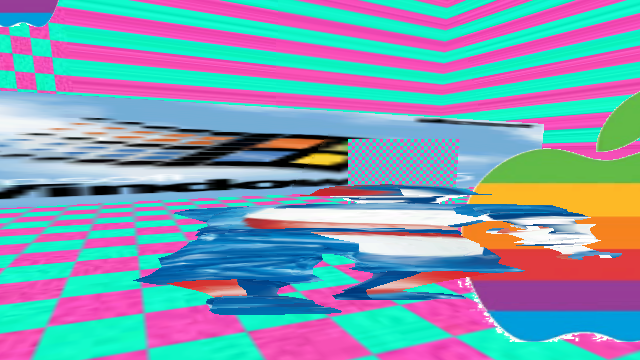 What does vaporwave do? 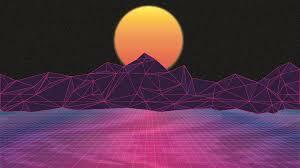 Just as the postmodern practices of sampling, cutting and pasting, and nostalgia came to the fore in the 1980s, vaporwave takes what that decade gave us and cuts it up again, finding more connections. Most often, a passage in a song is slowed down and looped, partially for the disorientating and alienating effect, but also to focus on particular lyrics or melodies. 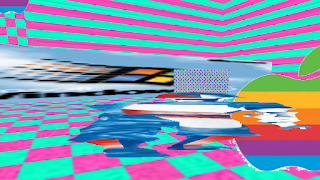 A major example of this is the song “Computing of Lisa Frank 420 / / Contemporary,” by Macintosh Plus (aka Vektroid, both aliases of the DJ Ramona Xavier) – its original title is in Japanese, a country also borrowed for vaporwave iconography – by cutting up a 1984 Diana Ross album track, “It’s Your Move,” a slick three-minute song becomes a seven-minute brooding dirge, highlighting the refrain of “it’s all in your head.” It could be said to be post-music too, as little or no original music is composed for vaporwave, unless you are trying to recreate the effect by writing an original piece. For the record, the albums to listen for the beginning of vaporwave are “Eccojams Vol.1” by Chuck Person, the cover of which cuts up the cover for the Sega Mega Drive / Genesis game “Ecco the Dolphin”; “Far Side Virtual” by Ferraro; and Macintosh Plus’s “Floral Shoppe,” which has an album cover that sums up the visual aesthetics – sorry, I mean A E S T H E T I C S – of vaporwave: a playful mix of pastel and fluorescent colours, cityscapes, patterns, along with Roman busts and columns. For good results, the art should look like it was slightly unplanned, resulting from a glitch, found and revered, just like the music. For many, this type of experiment makes a hard listen without context, and I first came across the genre through its use in series on YouTube like Dead Mall Series, Ace’s Adventures and Retail Archaeology, which have all used vaporwave as backdrops to video tours of deserted American shopping malls, where the shift to shopping online left the shopping meccas of the 1980s and 1990s to become vacant, deserted, and abandoned. With the accompanying vaporwave soundtrack sounding like it may be playing in the mall during the filming – indeed, background music from the Muzak Corporation is also used for vaporwave tracks – it feels like the utopian safe space of the shopping mall, and the aspirational imagery in advertising, were false promises, but that could just be the Marxist side of it. Where does all of this effort go? For many, vaporwave will feel like a deliberate joke, an attempt to create something that purports to have depth, when it has none. But like any solid postmodern work, all the meaning is on the surface, and that meaning, at least to me, is to make something of the fractured world the 1980s has left us, and rejoice in it.